The Shield Reunion 3-Pack Action Figures are Now Available! Although the group has been disassembled once again, fans will always look back fondly on The Shield's time together. Consisting of Roman Reigns, Seth Rollins, and Dean Ambrose, the group invaded WWE back in 2012 and quickly became a featured act on television. The group has since gone on to become perhaps one of the greatest stables in the history of WWE. Seth Rollins shockingly turned on his brothers back in 2014, forcing the members to begin their singles careers. Although all three of them went on to achieve great success and become world champions, it's difficult to ignore the level of excitement that was present from the fans when the trio finally reunited and The Shield was resurrected back in 2017. WWE and Mattel have decided to honor that moment by creating a action figure 3-pack based on that very moment from last year. 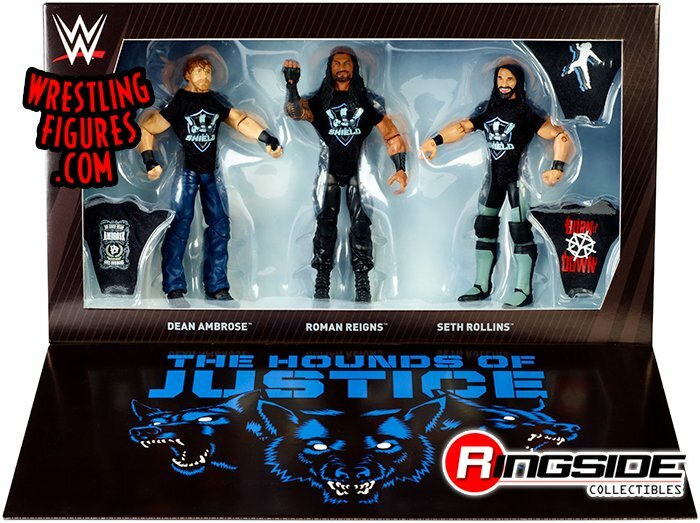 The Shield reunion 3-pack includes Ambrose, Rollins, and Reigns action figures that come with removable Shield shirts. Additionally, each of them have new headscans featuring the TrueFX technology that Mattel has begun using over the past few months. Roman Reigns appropriately has a smirking and confident facial expression, and his figure has his shoulder tattoo represented in full detail. "The Big Dog" also includes an alternative shirt. 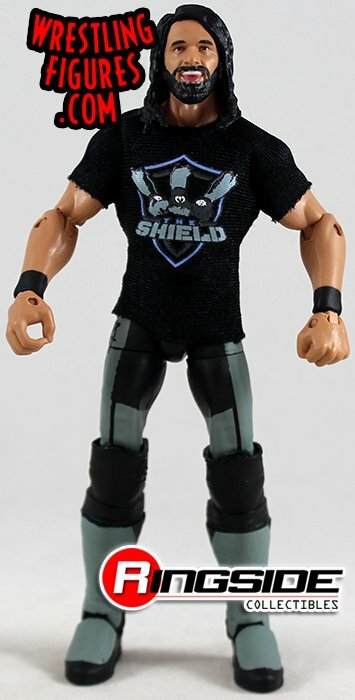 Seth Rollins was overjoyed when The Shield were able to move past the mistakes that he made in 2014, so it only makes sense for this figure to have a laughing facial expression. 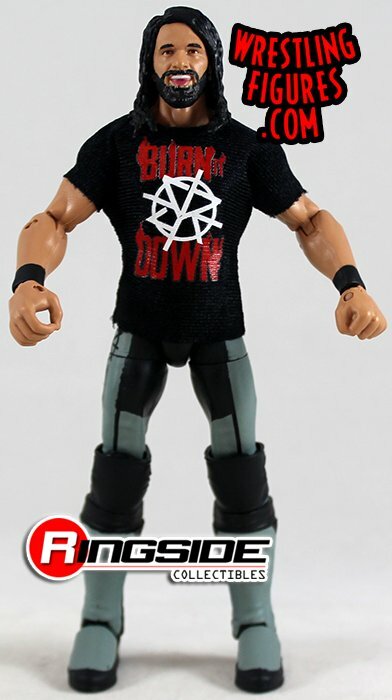 Rollins also includes another removable shirt with his "Burn it Down" catchphrase on it. 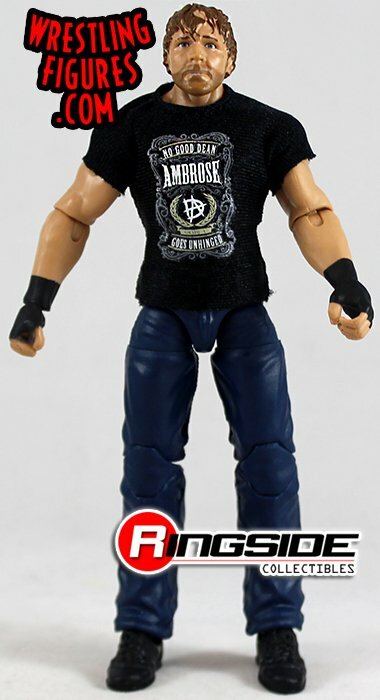 Dean Ambrose's figure in this set sees the former WWE Champion display a wild and crazed look on his face. 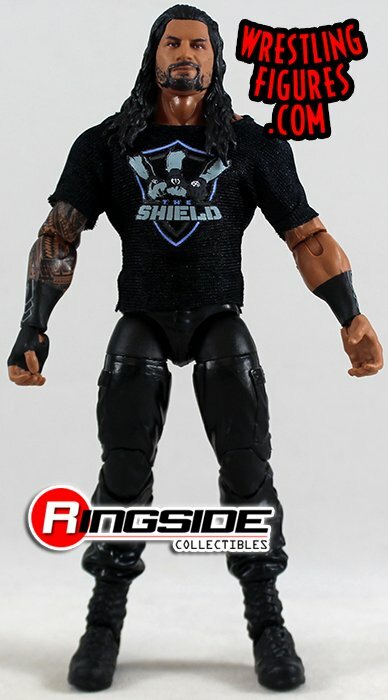 Like Reigns and Rollins, he includes a second shirt for when he is not competing alongside his Shield teammates. Each of these action figures are Elite-styled, and they all come together with their accessories. 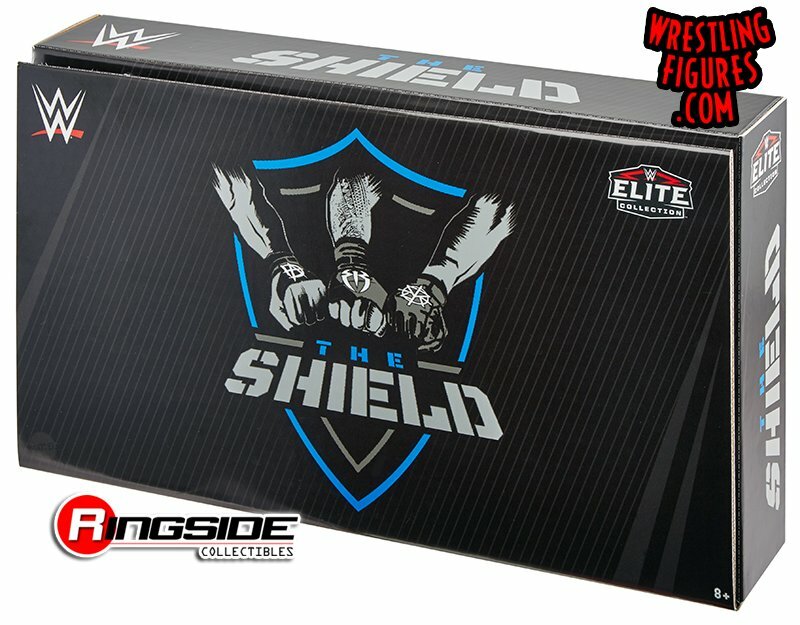 The 3-pack also has very specially designed Shield packaging, which can be perfect for displaying. The Shield's reunion last year may have proven to be short-lived, but fans can celebrate better days with this brand new set of figures. The pack is available for purchase right now, and more information can be found here.